Who would find the time to watch an epic length film? In a keynote lecture at the recently concluded Philippine studies conference in Kyoto, Resil B. Mojares described scholars in the current era as involved in commemorating the output of practitioners in what another scholar, Vicente Rafael, described as the “long 1970s,” referring to the decade-and-a-half of martial law. 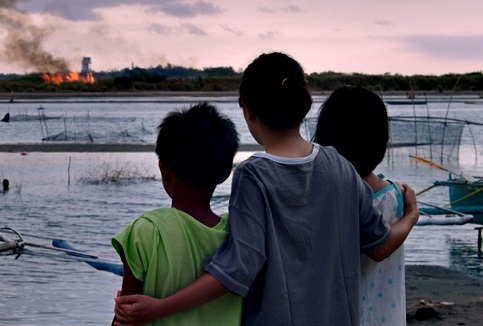 The description provides a useful starting point in a consideration of “Norte, Hangganan ng Kasaysayan,” not only because the auteurs behind the film (and the local critics whom they might regard as its primary respondents) came of age during this period, but also because the martial law generation of Pinoy film-goers would be familiar with what its distributors label as unique: the screening of a longer-than-average release in regular venues. As a matter of record, epic-length movies would make an appearance every year or so during the height of the retrospectively titled Second Golden Age, with a few of them even setting canonical or box-office records (Peque Gallaga’s “Oro, Plata, Mata” and Eddie Romero’s “Aguila,” respectively). 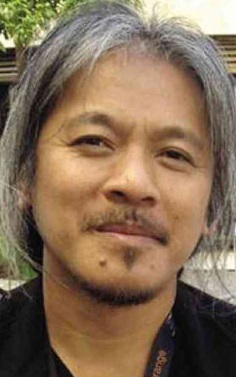 As proof that those times remain resolutely in the past (part of “the end of history,” which “Norte’s” extended title translates as), filmmaker Lav Diaz had been making much longer work than the current release’s four-hour running time, with three of his past films listed at nine hours each by the Internet Movie Database; if one were to watch his previous longer-than-“Norte” output, it would take over two days of non-stop viewing – all to cover a mere seven titles. For this reason I’m attempting a commentary with an admitted gap in my preparation: apart from Diaz’s first long-form film, “Batang West Side” (at over five hours the shortest of the aforementioned seven), I have been unable to find the time and opportunity to catch a screening of the intervening titles. In this respect, I’d still be faithfully representing the “long-1970s” type of audience if the only Diaz non-mainstream movie I’ll ever see is “Norte”: I knew upon my first viewing that I’d be able to sit through it at least twice, in direct contrast with my response to BWS, and in vicarious contrast with my challenge to all those who claimed they loved the much longer films but could never find the time to watch them all over again with a first-timer like me. In this respect we’d best proceed with a consideration of the audience-challenging extra-length film (as opposed to the audience-shunting five-to-nine-hour work), starting with the fact that the all-time global box-office champion (with figures adjusted for inflation, as they should always be) is still “Gone with the Wind,” a four-hour pre-World War II Hollywood release. All this discussion so far points to the likelihood that, “long 1970s” or otherwise, the local audience will most likely be electing (via their peso-votes) “Norte” as the longest Diaz film they will ever watch. And it would not be such a dismal development, in the end. A few critics, as well as the organized critics’ group, might insist that some-or-other longer Diaz work might be preferable, but at this point I’d find more useful the question of: whose interest are they representing? Certainly not the “average” viewer, elusive as that figure might be, but still-conceivable to the extent that most of us can readily identify with: laboring long hours for miniscule compensation, looking forward to an end-of-work diversion, resentful at being made to part with hard-earned income just to witness more of the same alienation and hardship that already confront us outside the theater. While “Norte” proffers characters and themes that may be solidly situated in a possibly dated social realist tradition, it distinguishes itself by adapting a model that has rarely, maybe even never, been surpassed: Fyodor Dostoyevsky’s “Crime and Punishment.” (The last time that non-Filipino works were profitably adapted for local movies was during the early 1990s, and even then, the source texts were Classical Hollywood films based on English-language novels.) “Norte” maintains a qualified faithfulness to the original – including, unfortunately, its male-appointed universe replete with women characters presented as either strong but destructive ball-breakers, or loving but passive followers; for someone obsessed with (and increasingly expert at) navigating the tricky depths of ideological complications, Diaz is bafflingly at sea when it comes to identity politics. Fortunately he fell in with a production team that appreciates the value of connecting with a mass audience, from a self-described “late-blooming” writer, Rody Vera, who has become the go-to person for politically inflected entertainment, to a producer, Moira Lang, who had also first made a name for herself as a commercially successful scenarist; their account maintains that “Norte” was originally conceived as a reality-show tearjerker focused on a falsely accused prisoner who felt abandoned by his family. That was how my question about the parallels between pre-Soviet Russia and post-martial law Philippines got answered: people still find themselves on the wrong side of power, and have no other choice except contend with the reality of despair when the only kind of relief is the one that obliterates life itself. This discursive direction might make “Norte” sound like another indie-miserabilist festival aspirant, but Diaz, whose masterly command of film resources became evident as early as “Hesus Rebolusyonaryo,” his first “short” film after “Batang West Side,” makes sure that his latest makes its terrifying philosophical vision palatable to less-intrepid viewers via the use of gorgeous imagery, an arresting soundtrack, and performances, especially by lead performer Sid Lucero, that can only be described as “committed” in more ways than one. Ambitious “Norte” nevertheless remains, and it does so by expertly melding “Crime and Punishment” with what appears to be the definitive miscarriage-of-justice tale by Leo Tolstoy, “God Sees the Truth, But Waits.” The tension between the nihilist and humanist extremes in both authors tips over the already unstable psychology of the lead character, Fabian, to resolve in a manner that is transcendental in terms as much of the shocking degradation as of the spiritual uplift it depicts. Such scenes (and please discover these for yourself, when “Norte” gets its global release) are rare in Diaz films, much less local cinema. Outside of the predictably compromised output of religious-fundamentalist converts, the only consequential instances where spirituality had been acknowledged in Pinoy films were in Ishmael Bernal’s aptly celebrated “Himala” and Marilou Diaz-Abaya’s unjustly forgotten “Milagros,” and if “Norte” were to be the present generation’s embodiment of “the soul of the Filipino,” that would mean a spiritualist-cinema text once every two decades – always just in time for young people wondering about their place in the world and history and seeking answers in popular culture. Joel David is Professor of Cultural Studies at Inha University in Incheon, Korea. He is the author of a number of books on Philippine cinema and was founding Director of the University of the Philippines Film Institute. © 2014 The FilAm. All images are copyrighted by their respective authors. Powered by The FilAm. Designed by Shut The PopUp!